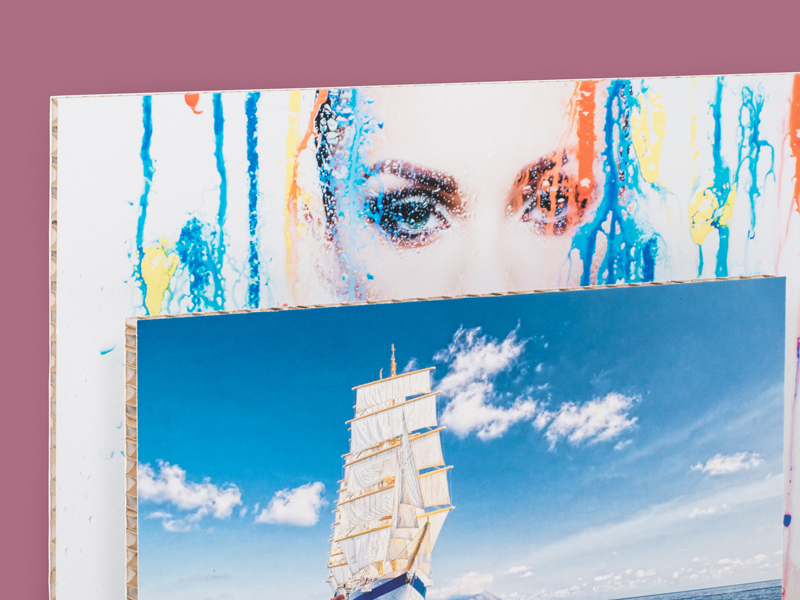 Large format printing - Gigantic selection at PrintCarrier.com! 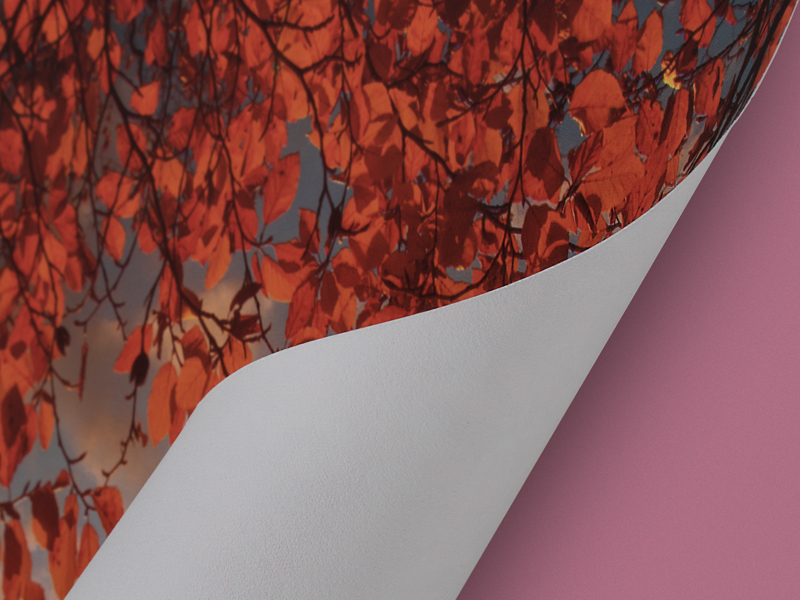 Show your favourite motif with a three-dimensional depth effect! 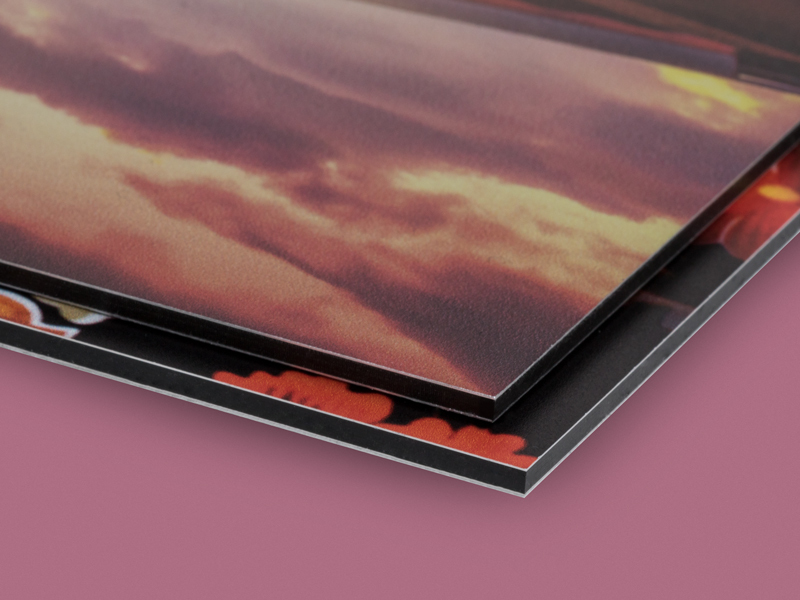 Printing it on the back of acrylic glass gives it extra class. The brilliant surface also intensifies the colours. 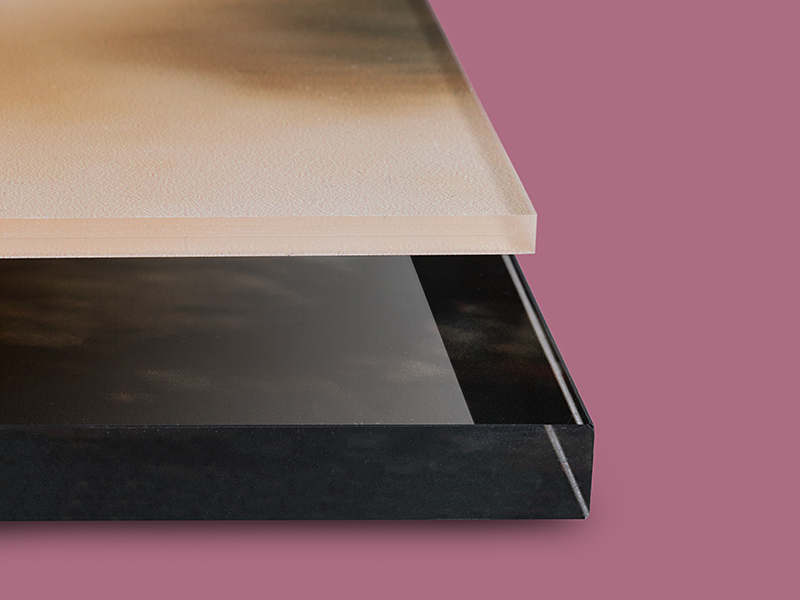 Acrylic glass is ideal for adding an impressive extra dimension to selected images. If you want to put your money on an advertising material with a truly elegant appearance, look to aluminium. It also happens to be extremely rugged and durable. It stands up to the wind and weather and is therefore ideally suited for outdoor use. 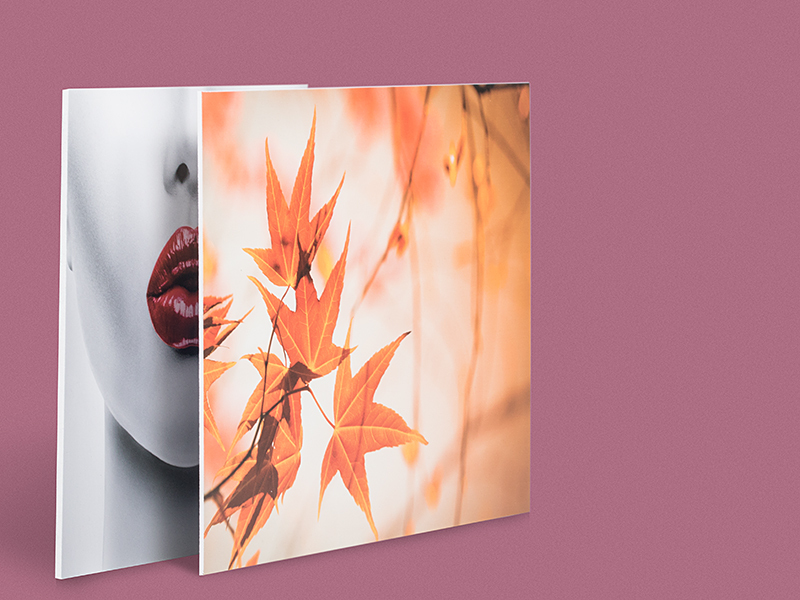 Aluminium composite panels are a long-lasting medium for conveying your advertising messages. Don’t slip up! 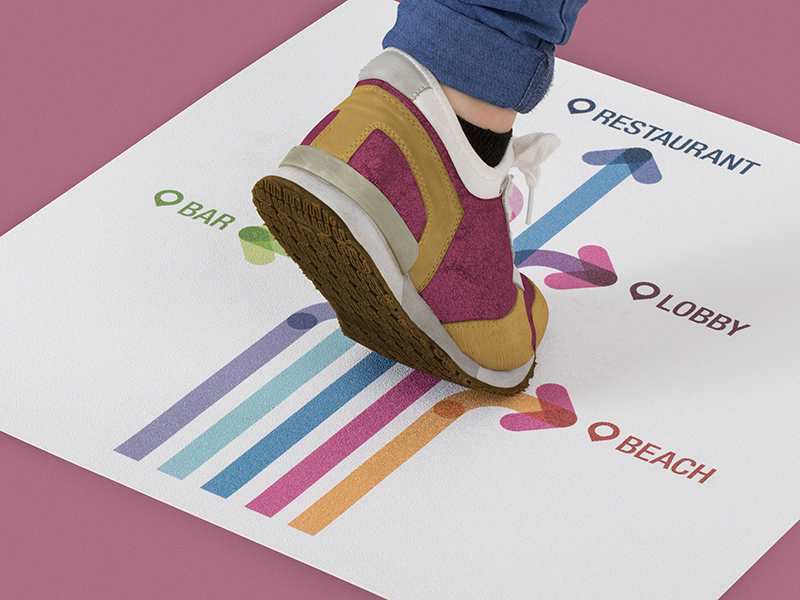 Our floor stickers are totally safe, whether they are used outside or inside. They not only let you put your advertising in unexpected places, but actually reduce the risk of anyone slipping and falling. The stickers are especially well-suited on floors that frequently get wet. 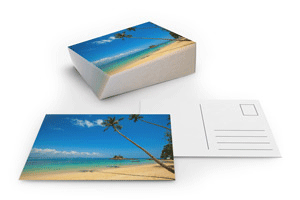 Opt for a seductive tactile experience the next time you get something printed. 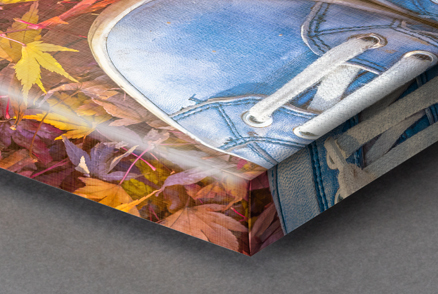 Our handmade laid paper adds another dimension to your print products, among other things because of its characteristic, slightly frayed edges. It also happens to be very pro-environment. Large wall decals, also called wall stickers or wall murals, are increasingly finding their way into our living rooms. Put an end to bare white walls by beautifying them with our decals, printed with your favourite motif so you can admire it in mindboggling full colour in your home! 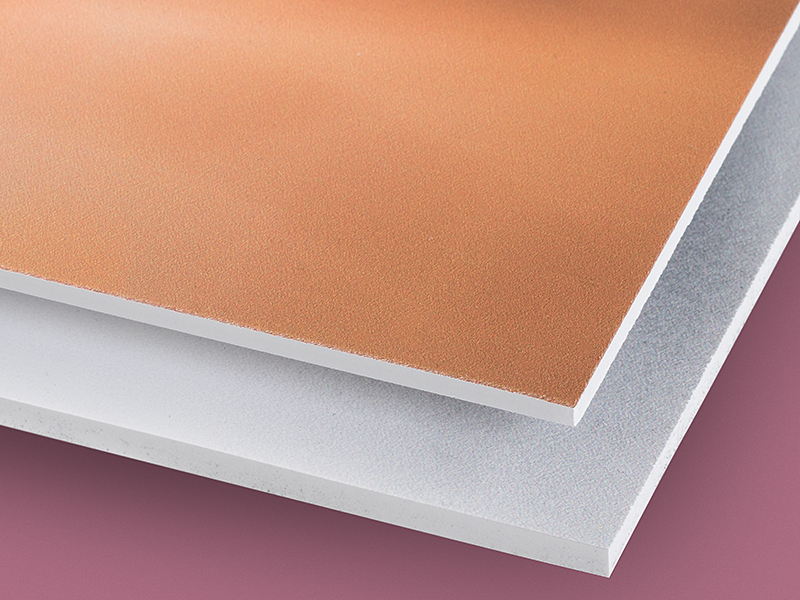 Owing to its low weight, rigid PVC foamboard can be easily and flexibly affixed. 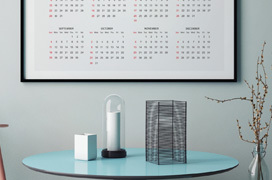 It is an especially popular material for use at trade fairs. The rough surface minimises reflections, making it ideal for all indoor and outdoor lighting conditions. 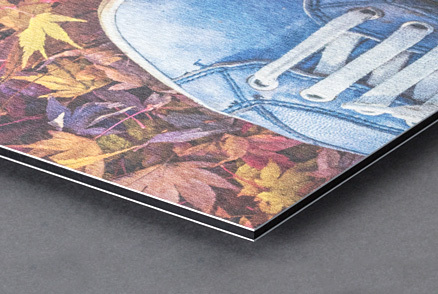 KATZ Display Board is the environmentally friendly alternative to other materials for your posters. 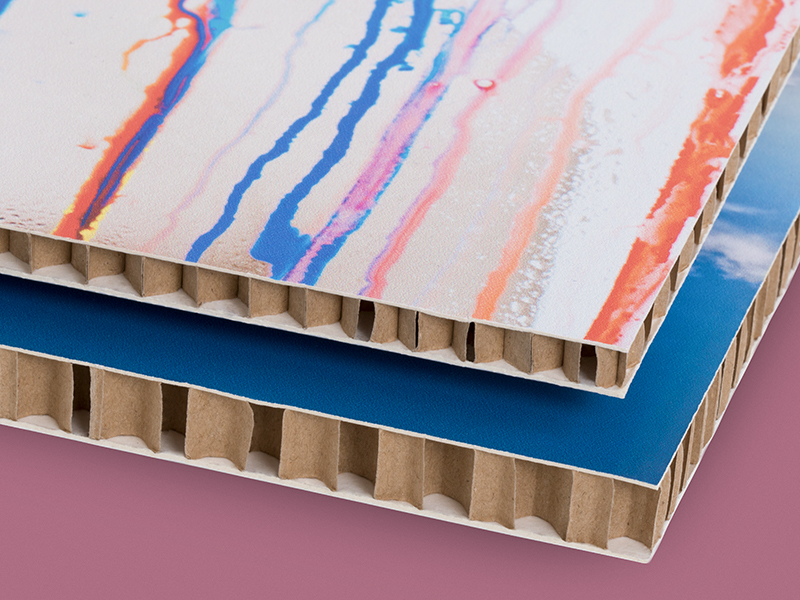 Its solid wood pulpboard core is covered on both sides with high-white satin-finish paper. Despite its thinness, the board is very strong, making it eminently suitable for indoor advertising. 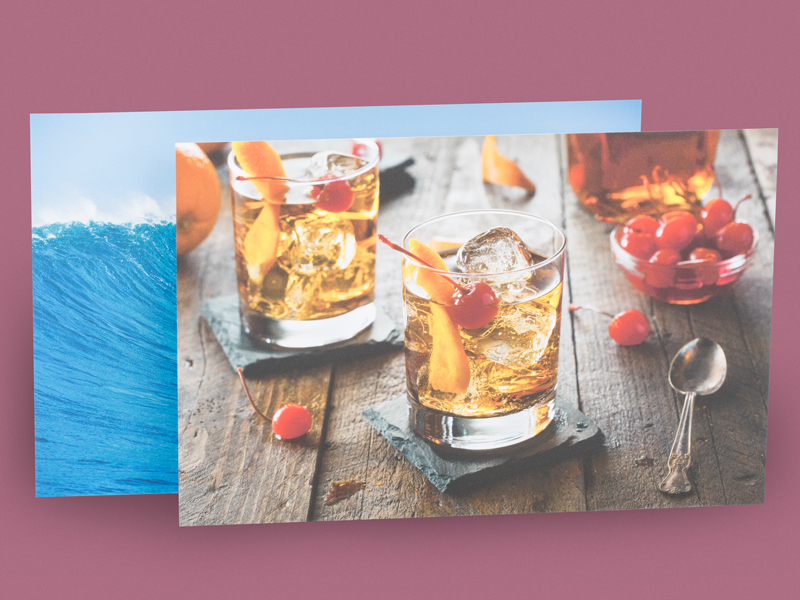 Put your favourite picture in plain view! 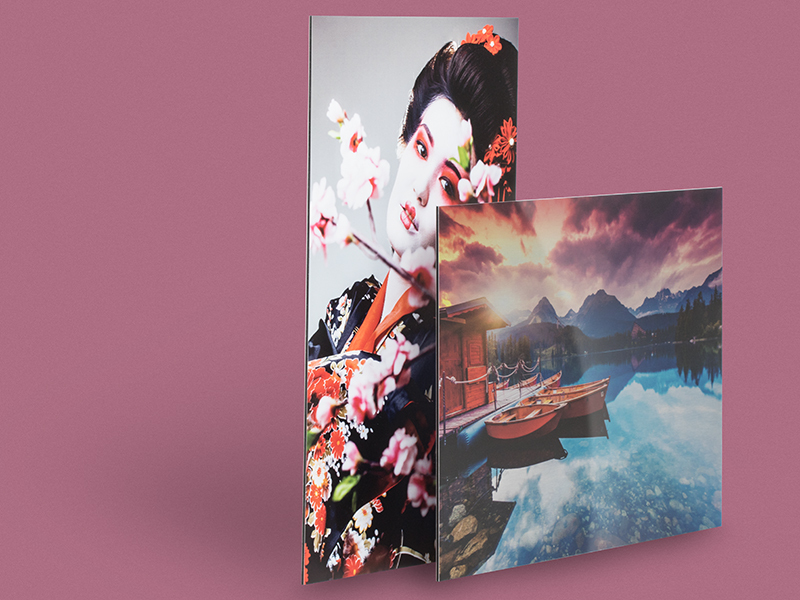 We’ll print your photograph or graphic on our 410gsm cotton canvas in quantities as small as one. 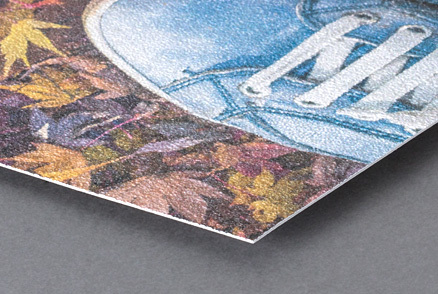 Digital printing with latex inks ensures spectacular results. We even supply each picture mounted in a wooden frame, ready to hang! 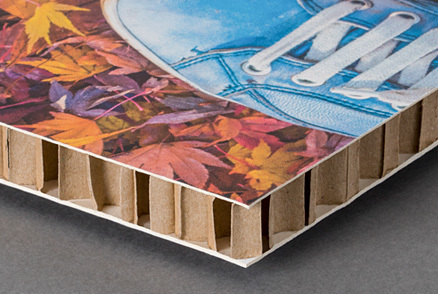 Re-board® is a patented rigid paperboard with a unique engineered fluted core. It is incredibly lightweight yet exceptionally strong. An embedded moisture barrier protects the core and the physical properties remain unchanged in humid conditions. 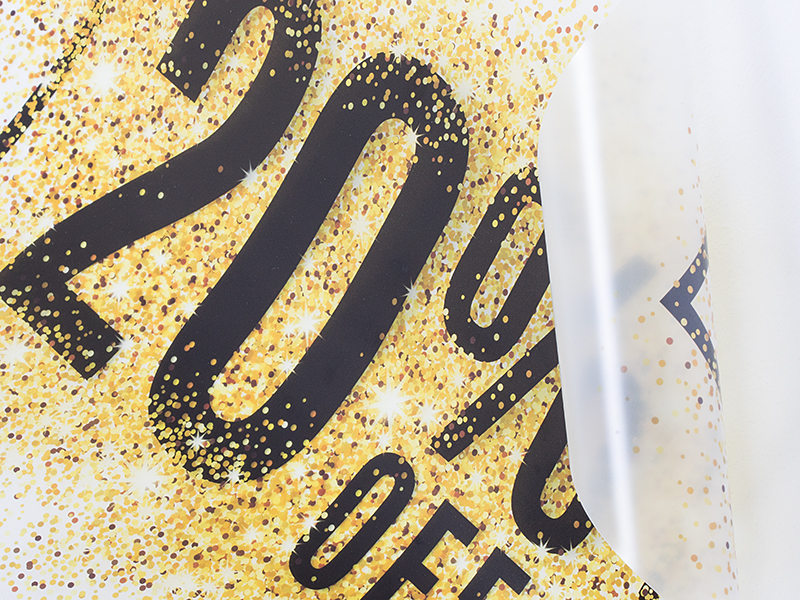 Our cling vinyl film is especially good for advertising for recurring events. 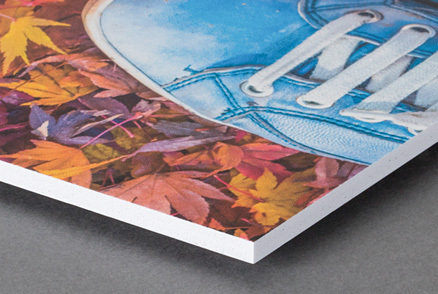 It sticks well without the need for glue, thanks to electrostatic adhesion. The stickers are easy to remove again without leaving any annoying residues, and if stored properly can be reused several times. 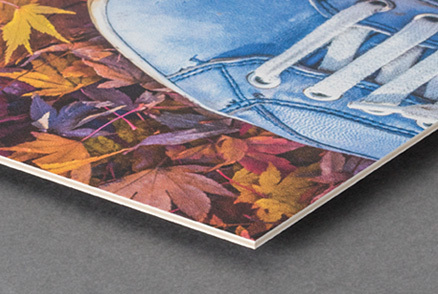 Print products can come in a vast range of shapes and sizes. But they don’t always have to be made with paper. 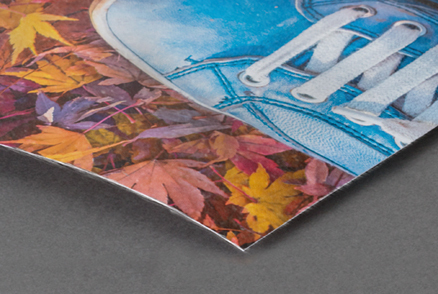 Thanks to our large format printing (LFP) process, we offer you the opportunity to make something truly big! 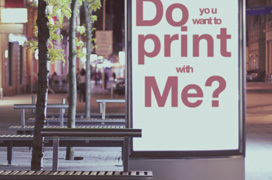 We print in formats extending up to very large. Specifically, up to a width of two metres. 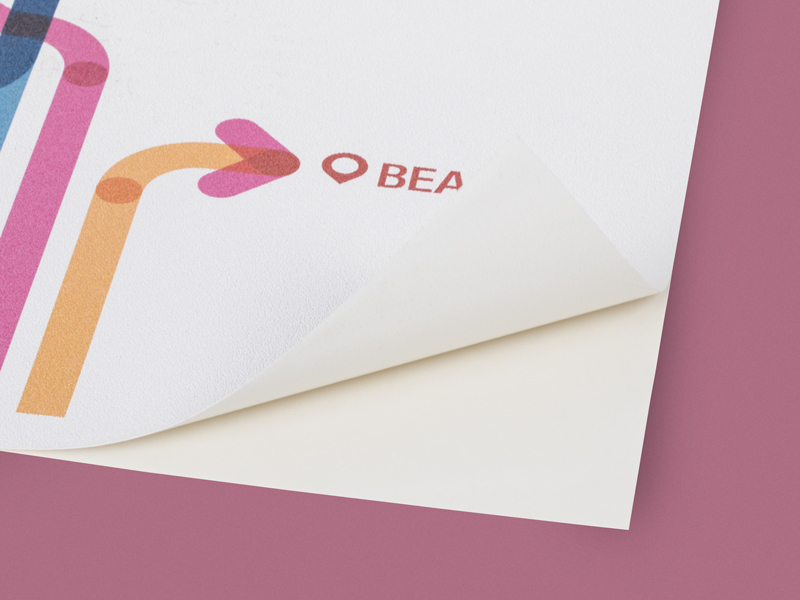 As to the length, when printing on flexible materials like paper or PVC foil there is theoretically no limit. And that’s not all! 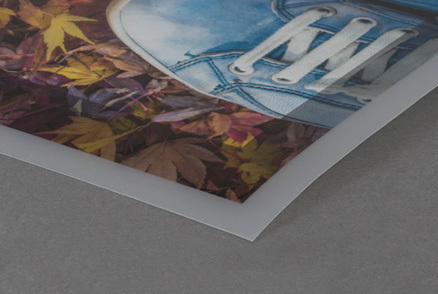 The printing process used for large format printing also opens up a whole new world of printable materials. 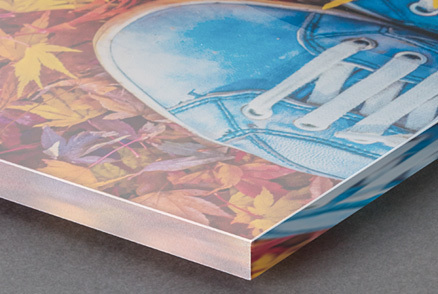 If you want a rigid substrate like aluminium or hard foam boards, we can do it in lengths up to four metres– while guaranteeing an excellent full-colour image! 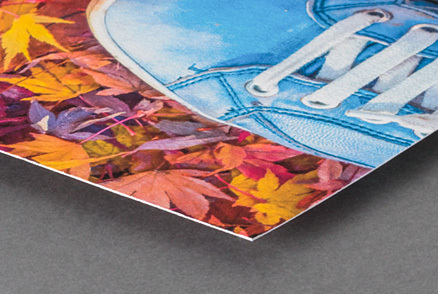 When printing in large formats, we use special inks that are subsequently cured by UV lamps. 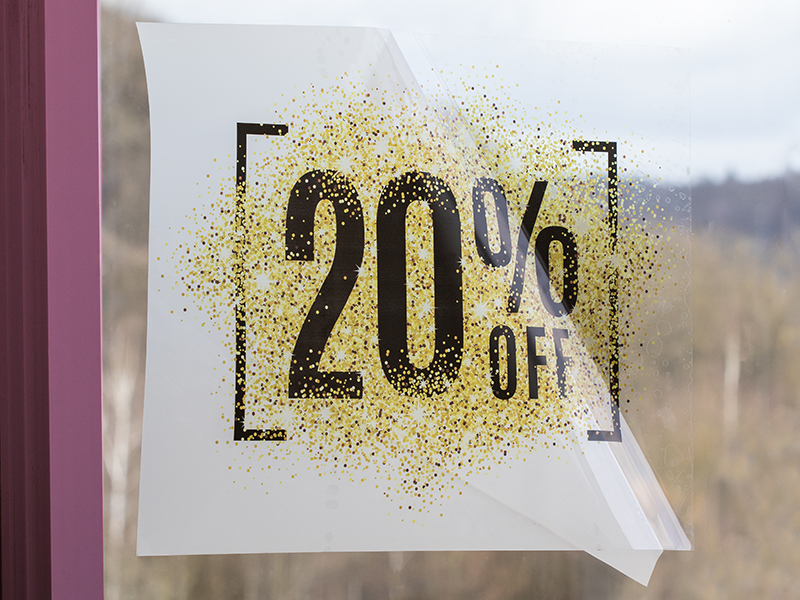 An extra bonus is that these inks, as well as most of the materials we print on, are also resistant to the wind and weather and therefore excellently suited for outdoor use. 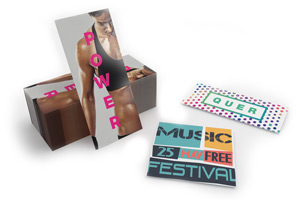 We offer a large palette of large format printed products, on account of which this technology lends itself especially well for advertising: posters for outdoor use, for example, or gigantic mesh banners for hanging on construction scaffolds. Or plaques and signs made of aluminium, Re-Boards, Katz Display Boards or any of many other materials that are suitable for this process, for example polyester fabric used for flags or beachflags. 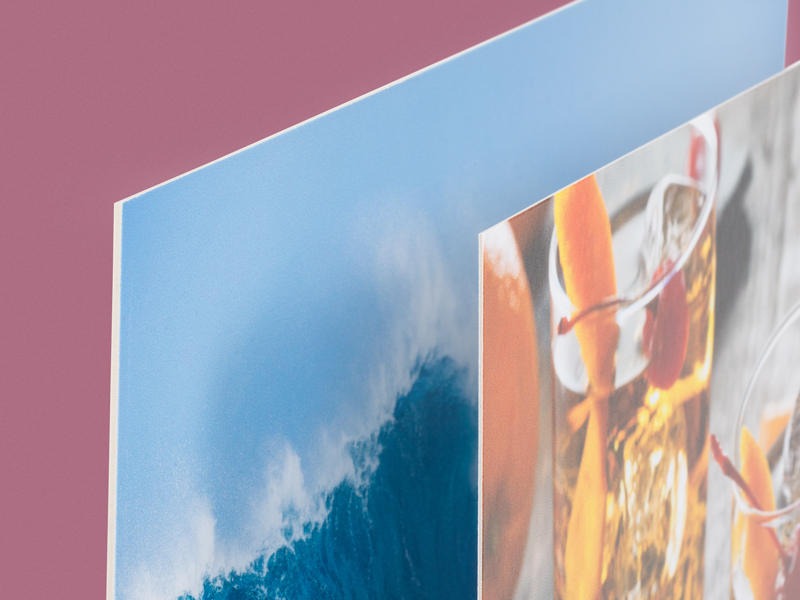 So don’t hesitate – get your next order printed extra-large! Count on use to make your next advertising campaign a resounding success. 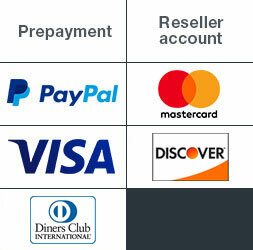 We also offer great options for personal use. 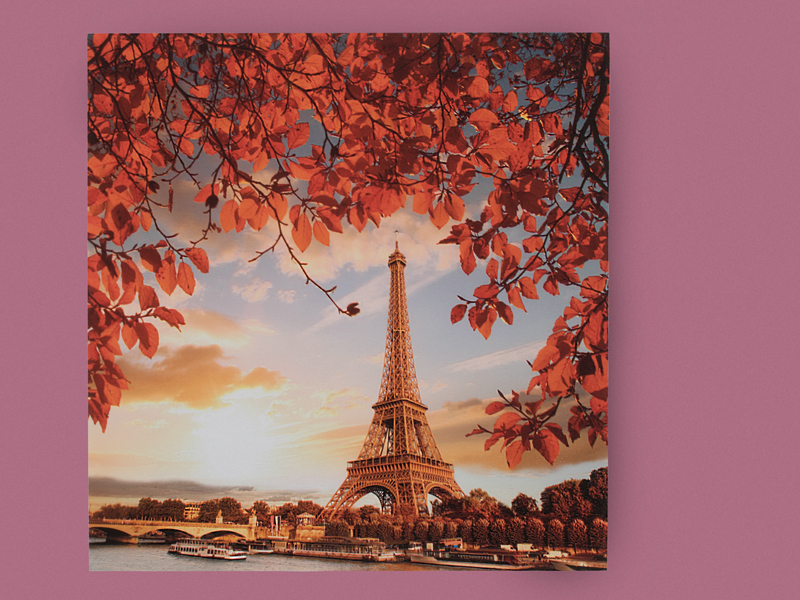 The LFP process is ideal for printing a favourite snapshot of your last holiday trip or a family portrait on a big canvas or acrylic glass. 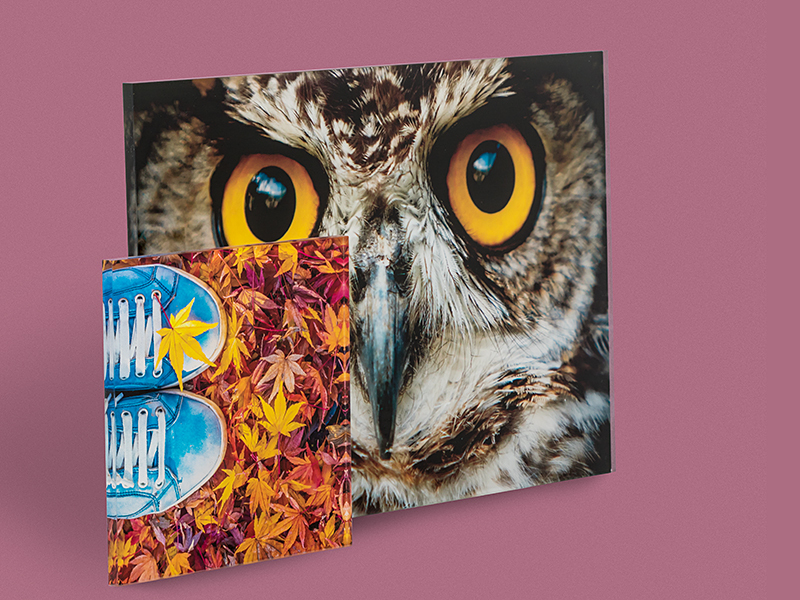 It’s hard to imagine more strikingly beautiful wall decorations for your living room.